Dixon… Governor Bruce Rauner issued Executive Order 15 last week, creating the Local Government Consolidation and Unfunded Mandates Task Force. 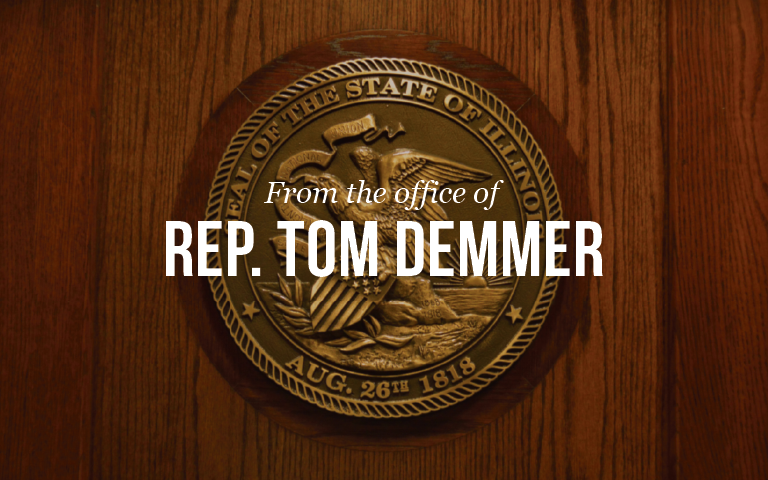 State Representative Tom Demmer (R-Dixon) was appointed to the task force as one of two representatives from the House Republican Caucus. The purpose of the task force will be to study issues of local government and school district consolidation and redundancy. Illinois has the highest number of local governments in the United States with 6,963 units. Since 2000, Illinois school districts have been saddled with at least 140 unfunded mandates. Conduct a comprehensive review of State laws relating to local government and school district consolidation. Conduct a comprehensive review of State laws relating to unfunded mandates on local government bodies and school districts. Identify opportunities to consolidate, streamline, or eliminate duplicative governmental bodies, school districts, and taxing authorities. Identify opportunities to replace, revise, or repeal unfunded mandates placed on local government and school districts. Discuss solutions and impediments to consolidation of local governments and school districts. Analyze the success of programs and legislation with similar goals implemented in Illinois and other states. The task force will hold four meetings throughout the State to gather information and recommendations from local governments and school districts. A final report will be submitted to the Governor and General Assembly at the end of the year.